Benji knew the moment he saw Lucy, he’d never be the same. Especially when she came with the bundle of crazy that was her daughter. His heart wasn’t ready for them. After years spent sobering up and finding who he was without the alcohol, he never forgot he was being punished for not appreciating the love he had when he was younger. Because of his past, he had gotten used to being alone, a recluse, but even he had to admit it was getting old. He was lonely. Hockey wasn’t enough anymore. He wanted a family; he wanted his true love, and Lucy and Angie were just that. Benji and Lucy were just two lost souls. I have been waiting, sometimes not so patiently for Lucy's story. I have always wanted to get to know Lucy and Angie and I loved every bit of learning about them. I wasn't sure how Lucy and Benji would work especially after their first meeting but I was pleasantly surprised. Even through the lowest of downs I knew that they would be great when they got it all together. Lucy had such a bad experience with her ex (Angie's dad) and then her own dad with how he treated her mom. I was concerned how she would ever get to the point to trust a man again. I was so impressed with Benji's determination to get both Lucy and Angie to let him in their life and family. Benji had so much to work through on his own, most important was learning to forgive his past mistakes and open himself to love again. When they get on the same path, Lucy and Benji make an amazing couple and Benji is a great father figure for Angie. It was truly a wonderful journey to read about them on the path to becoming a family. It was also great to get glimpses of Jude, Jace and Jayden. I love the Sinclair family and am so glad to have read Lucy's story. Down and out with an injury keeping him away from the game, Assassinsâ defenseman Jordie Thomas lives for the blades of his skates on the ice and the feeling of oblivion off it. With no choice but to heal, heâs forced away from the sport that runs through his veins. With everything at stake and darkness setting in, he quickly finds himself spiraling even further out of control. As his life begins to come crashing down around him and his contract with the Nashville Assassins on the line, heâs given an ultimatum. Ready or not, Jordie is forced to face his past, the fears that consume him, and the one woman he let walk away. 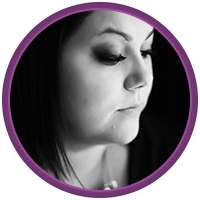 Kacey King had her professional dreams come true, yet her heart was battered and broken. With an Olympic gold medal around her neck, sheâs ready to look forward to the future but without the one man she wanted in it. Sheâs missing the key pieces of her heart she left months ago with the only person who was capable of destroying it, causing her to falter in all her plans to move on. In the game of life, there are winners and losers, and neither Jordie nor Kacey want to be on the losing bench. If only Jordie could convince Kacey heâs a changed man and that he wants her right by his side as his MVP for the biggest and best parts of a life they build together. With emotions running high and the game on the line, can two proud people find happiness with each other, or will their hearts and souls be left in the cold? Will they see that sometimes having someone by your side who knows the good, bad, and broken is better than going it alone and losing everything through the back of the net? They are out of time on the game clock and fighting for the win of their lives. âYou donât have feelings, Jordie. Youâre allergic to them,â she said simply, her hand digging deeper into his skin. When not rooting for her beloved Nashville Predators, sheâs probably going to her husbandâs and sonâs hockey games and her daughterâs dance competitions, taking pictures, scrapbooking, or reading the latest romance novel. It’s beginning to look a lot like Christmas – with eight stories featuring your most beloved characters and their families – it’s time to get comfy with a cup of hot cocoa and take a sneak peek at the holidays, Assassins’ style. Join Lucas and Fallon along Tate and Audrey as they await life-changing gifts; Erik and Piper, and Phillip and Reece who have decisions to make that could lead to exciting developments ahead in their lives; and Claire as she makes a Christmas wish and choices for her future. Spend Christmas morning with the Adler family and see what the New Year has in store for Karson and Lacey, as well as Kacey King. The King family faces significant changes and resolutions that will leave readers alternately cheering and maybe a little heavy-hearted…all wrapped up in a big bow. 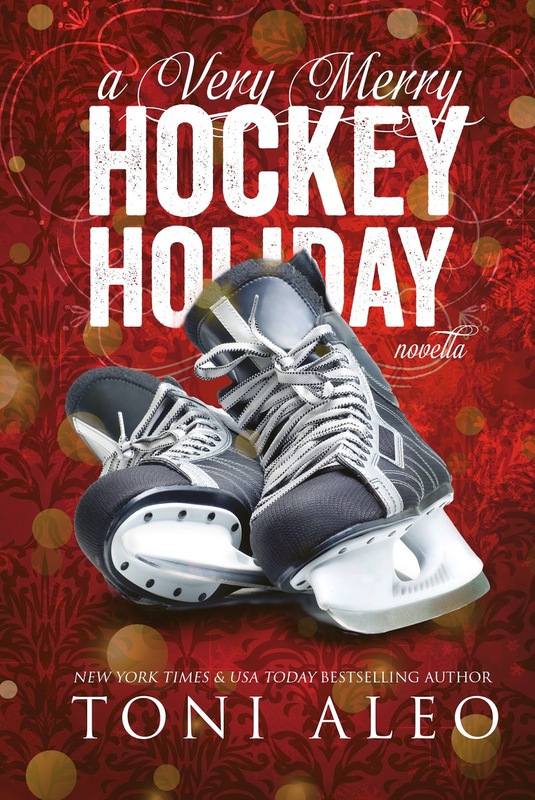 Join in on the holiday cheer and see who’s been naughty or nice in New York Times and USA Today Bestselling Author Toni Aleo’s novella – A Very Merry Hockey Holiday. WIN A SUBSCRIPTION TO AMAZON PRIME, OR A $50 GIFT CARD! 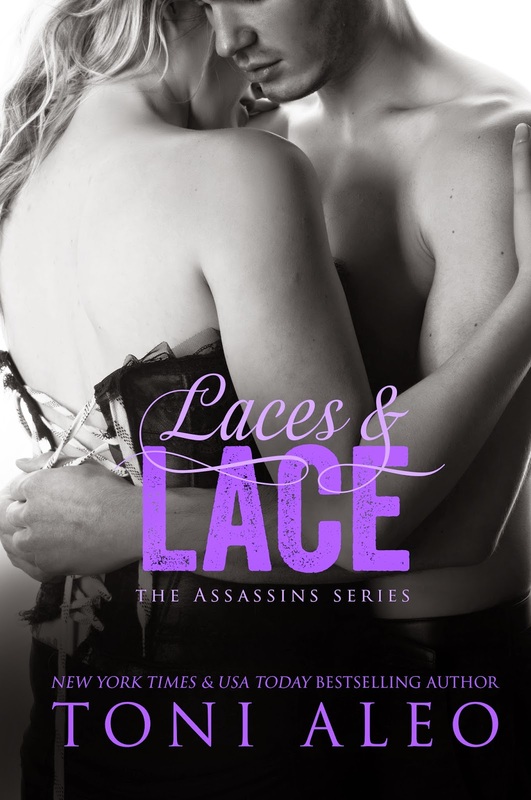 Laces and Lace includes the prequel Tangled in the Laces, a dollar of your purchase will be donated to the Nashville Predators Foundation. "This is such a great read, with more steam than most of Toni's books! And so many laugh out loud moments, seriously - JT needs his own book, and it needs to be amazingly hilarious because I couldn't stop laughing! Overall? Laces and Lace was well worth the wait!!" ~ For Love and Books "Jac"
#BREAKINGAWAY by NYT & USA Today bestselling author, TONI ALEO is now AVAILABLE! Breaking Away is the 5th book in her ASSASSINS SERIES. This novel pulls you into the world of Hockey player, Phillip, and dance teacher, Reese. Can love overcome it all? Toni Aleo’s ASSASSINS SERIES is about a hockey team who finds love when they least expect it! Series can be read out of order. Grab your copy of BREAKING AWAY today!